"Our Virtual infrastructure consists of 26 VMware ESXi hosts running over 100 VMs, and this number keeps growing," says Ryan McDowell - Technology Coordinator at ESU 5. Ryan helps school districts with server installations and IT issues, as well as manages all VMware VMs. Virtualized applications at ESU 5 include School District Active Directory Controllers, DHCP and DNS servers, Library Management Software, Powerschool Student Information Systems (SIS), which houses student data, and so on. In addition, each of 10 school districts has one or multiple ESXi hosts that talk back to the vCenter Server deployed at ESU 5. "We manage VMs for the districts as well as host some IT services as a local cloud," explains Ryan. With the growth of the VM services that ESU 5 offers, offsite VM backup has become more and more important for them. "As our schools grow and rely on information technology more and more, we need to protect and safeguard the VMs and data that need to run smoothly for daily operations," says Ryan. Previously, VMs were backed up manually onsite at each school district. The process was very tedious and unreliable, as backups could be missed. Automated backups were not a part of the data protection solution. Recovery was very time-consuming and was not always successful. "We needed a solution that was reliable, offered the features we needed, and most importantly cost effective!" says Ryan. "NAKIVO's growth, high ratings, and very affordable price have lead us to research their product more in depth," says Ryan. "After installing the trial I was very impressed by how easy it was to use the product. Automated backups were easy to configure, and a test file recovery was a breeze." NAKIVO Backup & Replication features an intuitive web interface and enables creating new jobs within minutes. The product can also protect VMware containers (clusters, hosts, folders, or resource pools) so that all new VMs that appear in a container are automatically protected. In addition to full VM recovery, the product also provides the ability to instantly recover files and application objects directly from compressed and deduplicated VM backups, without the need to restore an entire VM first. One of the key features that Ryan has appreciated was Multi-Tenancy. This feature provides a simple way to create multiple isolated tenants within a single instance of the product. While all tenants and their workloads can be managed centrally by a master administrator, each tenant can have access to their own backup and replication jobs via a simple and intuitive self-service Web interface. This has enabled Ryan not only to implement a centrally-managed data protection strategy, but has also enabled school districts to perform recovery of their own data by themselves. "As an educational agency, we're cost-sensitive, and NAKIVO Backup & Replication has saved us at least 50% of VM backup costs compared to the alternatives that basically do the same thing," says Ryan. "Automated backups created by NAKIVO Backup & Replication give all stakeholders the peace of mind knowing their data is backed up and safe if a recovery is ever needed. Time is money and saving at least a few hours a week doing manual backups has helped us to focus our resources on other projects for our school districts." Educational Service Unit 5 (ESU 5) is a cooperative educational agency that enhances opportunities for learners by providing innovative and responsive leadership and support to schools in Gage, Jefferson, and Thayer counties in Nebraska, United States. ESU 5 provides technology assistance, as well as services in the areas of school improvement & staff development, special education & early childhood development, interactive & web-based distance learning, behavior management, alternative high school, media services, curriculum & instruction, and leadership training. The mission of ESU 5, as a cooperative educational agency, is to enhance opportunities for learners by providing innovative and responsive leadership and support services to empower schools in achieving their individual missions. 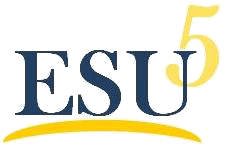 ESU 5 provides services, products, and funding, that support teaching and learning activities of the school districts' students, teachers, and administrators. ESU 5 plans, coordinates, and trains school district personnel through a variety of workshops both onsite and online. These sessions are developed to enhance the improvement of student achievement through the development of support staff, teacher, and administrator competencies. For more information, visit www.esu5.org.